What to Do When Fear Keeps You Up at Night | Metro Lock & Safe Inc.
Posted on October 23rd, 2014 by Metro Lock & Safe Inc. Your home is your sanctuary, and is the place you should probably feel the most safe and secure. This is not always the case, however, and everything from the evening news to a backfiring car can rattle you enough to give up, give in and get up and turn on the lights. If you’re tired—literally—of living in fear in your own home, call your local locksmith in Scottsdale AZ, or employ the following tips to make sure you have sufficient peace of mind for a good night’s sleep. It sounds so obvious, but you’d be surprised just how many homeowners fail to take care of the most critical component of home safety. Maybe you’ve lived in your neighborhood for years without so much as a stolen newspaper, or perhaps you like the way the breeze feels when it wafts in your bedroom at night. Whatever your reasons for not batting down the hatches, toss them aside and start securing your home every time the sun goes down. 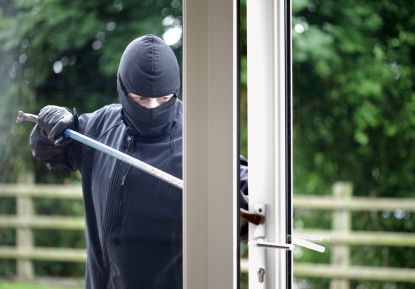 Burglars often try to access a home through the window first, so if you don’t already have window locks, get some, and get back to sleeping more than an hour or two after dark. Old or outdated locks are often easy to pick or break, and most burglars are well aware of this fact. Furthermore, a lock that looks rusty or old is like an invitation to a potential burglar, and indicates that home security is not among your priorities. Investing in high quality, high-performance locks will protect your most critical assets, and is likely improve peace of mind at the same time. Ask your locksmith in Scottsdale AZ or the metro Phoenix area for suggestions as to what locks to use, or what they feel might be weak areas in your current home security system. It’s hard enough to sleep at night with work stress, family strife and other common sleep-inhibiting issues, but improving your home security system will help in spades. Contact an expert for a security consultation today and see how you can enhance your home security and sleep better at night in one step.